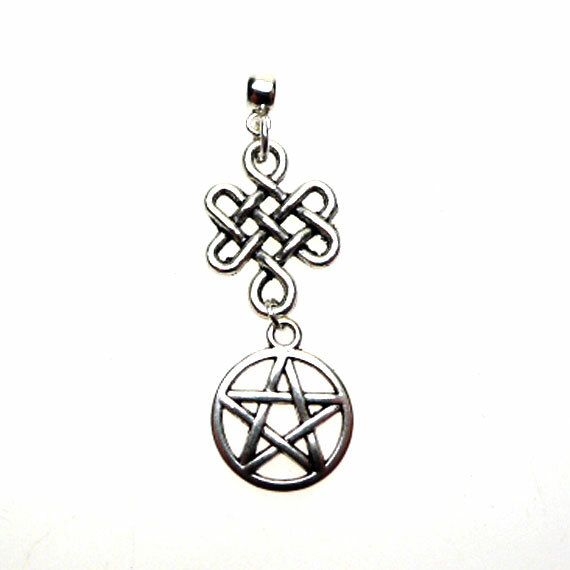 Celtic Pentacle Necklace Pendant - A Tibetan Silver Bailed Celtic Knot has a Pentacle dangling beneath. 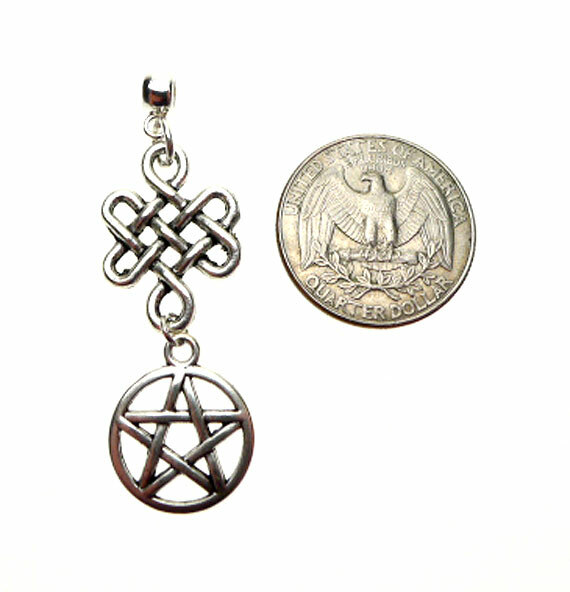 This pendant can also be converted into a Celtic Pentacle Necklace suspended on an 18-inch silver plated necklace chain. 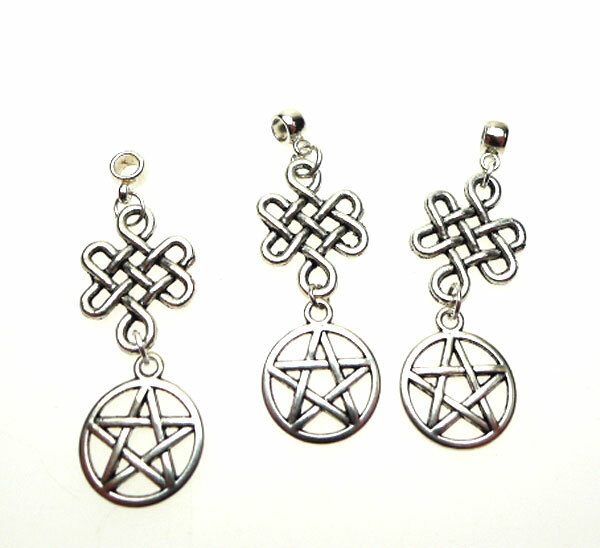 Pendants are sold individually. All components are lead-free and nickel-free. As these Pendants were hand-crafted, please expect slight variations.